Graham Blanchard Inc., 9780989794978, 32pp. Everyone loves the familiar faces on the Knowing My God series board book covers. And now these characters step out into an expanded new role as Soul Mates, Friends for Life(TM) who involve your little artist in their world of drawing, coloring, reflecting, solving, decorating, and imagining. 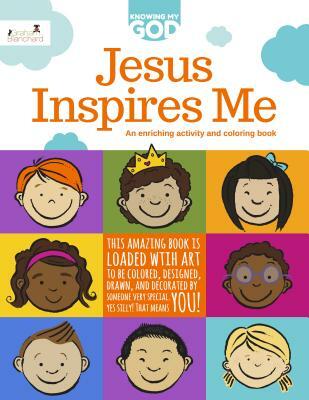 With the breezy flair of artist Missi Jay, each original page in the book ties in facts and themes from the well-regarded Knowing My God series, while inspiring creativity and a personal connection with Jesus. The beautiful glossy cover and just-right size make this newest addition to the line a perfect companion to the Knowing My God books on any family trip. Are we there yet? With the Graham Blanchard Soul Mates showing them the way, young passengers might be willing to ride a little longer.